ITALIA GLASS PVT. 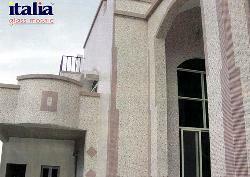 LTD. is a leader in Glass Mosaic industry in India and SAARC Countries. Italia glass mosaic tiles are used for wide applications in homes, offices and public places. Italia Galss Mosaic tiles add an aesthetic touch to exterior as well as interior decoration. Italia Glass Mosaic tiles can be creatively used in bathrooms, dining hall, entrance wall, lobby, staircase, pillar, dome, swimming pool, fountain, religious places, public places etc. There is much more to know about mosaic and Italia glass mosaic. For further information please contact us at any office or contact your nearest representative of Italia.